- Who Are the 14 Class-A War Criminals Enshrined at Yasukuni? 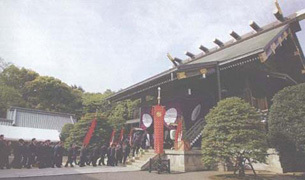 - Why Is Yasukuni Shrine Controversial? 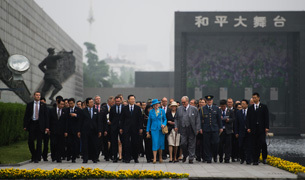 Why Has China Set a Memorial Day for the Nanjing Massacre? - Will the Ice Continue to Melt? Japanese PM Shinzo Abe visits the U.S. to seek stronger support concerning Japan's intentions with China's Diaoyu Islands. To justify his country's rising defense budget, Abe makes an indirect reference to China before addressing the UN General Assembly. 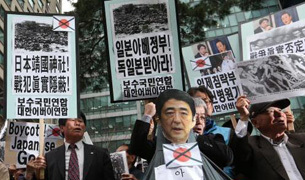 The Diet enacts a law to allow Abe's government to create a U.S.-style National Security Council. Southeast Asian leaders respond with reluctance throughout the Japan-ASEAN Summit in Tokyo. 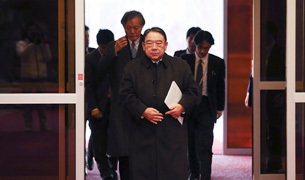 A group of 168 Japanese lawmakers visit the Yasukuni Shrine. A Japanese Maritime Self-Defense Force ship intrudes into a drill zone of the Chinese navy. The House of Councilors passes a controversial secrecy law to prevent leaks of what it calls state secrets. 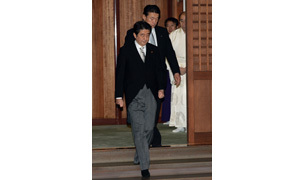 The Japanese cabinet approves a security policy package.